Facing platform ‘end of life’ issues together with increasing pressures to digitise processes, increase profitability and innovate on product and service, organisations are finding Data Platform Modernisation projects can deliver significant value by enabling IT cost reductions together with improved service levels and increased agility. 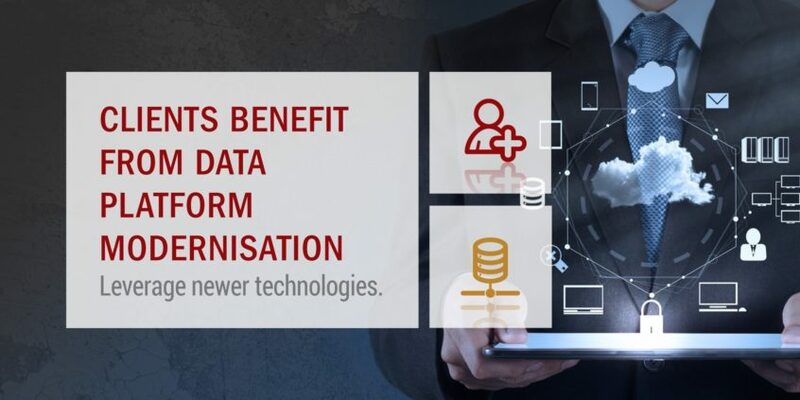 An effective platform modernisation project factors in a combination of architecture refresh, together with software upgrades and targeted application remediation to deliver a platform that offers the optimum combination of TCO, performance and business innovation. Ascent Technology has years of experience in this arena, and we have brought our specialist knowledge and data platform skills to bear on a wide range of successful projects. These projects have all delivered substantial strategic benefits to our clients. Growthpoint Properties turns to Ascent technology for Data Platform Modernisation and Cloud Advisory Services. Primedia Broadcasting outsources Database Administration and Consulting Services to Expert Database Infrastructure Company Ascent Technology. To explore how Ascent Technology can add value to your organisation with our experience in this space, Contact Us.